Directed by Krzysztof Kieslowski and written by Kieslowski and Krzysztof Piesiewicz, The Decalogue is a ten-part TV mini-series where each story is loosely based on the Ten Commandments. The film explores each parts of the Ten Commandments where characters delve into many rules of the Ten Commandments in ten different stories. The result is one of the most daring and evocative achievements in television from Krzysztof Kieslowski. Starring Henryk Baranowski, Wojciech Klata, and Maja Komorowska. Cinematography by Wieslaw Zdort. The first part revolves around a physics professor named Krzysztof (Henryk Baranowski) who has always relied on mathematical facts and physics to live his life as does his 12-year old son Pawel (Wojciech Klata) who starts to ask big questions about fate and death as he’s starting to attend religious classes with his aunt (Maja Komorowska). It’s a segment that plays into a man’s reliance on science and facts where it would later play into unexpected tragedy. Through Krzysztof Kieslowski’s somber yet engaging direction and the low-key photography of Wieslaw Zdort, the first part starts off very innocently despite a brief scene where Pawel finds a dead dog. Yet, its last 20 minutes would play into the things that someone as intelligent as Krzysztof couldn’t explain in how the world works sometimes. Starring Krystyna Janda, Aleksandr Bardini, and Olgired Lukaszewicz. Cinematography by Edward Klosinski. The segment plays into a widowed doctor (Aleksandr Bardini) who is watching over the condition of a dying man named Andrezj (Olgired Lukaszewicz) as his wife Dorota (Krystyna Janda) wants to know his prognosis. The doctor reluctantly reveals the news as she also reveals that she is pregnant but the father is another man as the doctor would make a decision about the fate of the unborn child in relation to that child’s father’s prognosis. It’s a segment that has a lot of ambiguity where Kieslowski creates a sense of dramatic tension that is happening with a conclusion that leaves one of its characters filled with unease. It’s a segment that takes it time to play out its drama while Edward Klosinski’s grainy photography that is also low-key but also has some heightened colors in a few key scenes such as a doctor shot at night. Starring Daniel Olbrychski, Maria Pakulnis, and Joanna Szczepowska. Cinematography by Piotor Sobocinski. A taxi driver named Janusz (Daniel Olbrychski) reunites with an ex-lover named Ewa (Maria Pakulnis) as they spend Christmas Eve trying to find her husband who had just disappeared. It’s a very compelling short that is filled with some very stylistic shots including some car chases as well as an amazing tracking shot involving a security guard riding on a skateboard. Still, it’s this very understated drama about a man trying to help an old flame find her husband though he’s unaware of the woman’s true intentions as it plays to his conflict over his love for this woman and his devotion to his wife (Joanna Szczepowka). Through Piotor Sobocinski’s colorful yet entrancing photography, it’s clearly one of the highlights of the series. Starring Adrianna Biedrzynska, Janusz Gajos, and Adam Hanuszkiewicz. Cinematography by Krzyzstof Pakulski. What happens when a young woman named Anna (Adrianna Biedrzynska) finds a mysterious letter written by her late mother? That is what the segment is about as it relates to Anna’s relationship with her father Michal (Janusz Gajos) as the letter reveal information that might disprove that. It plays to a young woman’s search for who she is as well as her relationship with her father as it’s told in a very dramatic form by Kieslowski who brings a lot of dramatic tension and intimacy into the story as it is supported by Krzyzstof Pakulski’s understated yet somber photography. Starring Miroslaw Baka, Jan Tesarz, and Krzyzstof Globisz. Cinematography by Slawomir Idziak. The film is about an idealistic lawyer (Krzyzstof Globisz) who passes the bar exam as he would later try to defend a young drifter (Miroslaw Baka) who had killed a taxi driver (Jan Tesarz) several months ago as he did commit the crime as he faces execution. It’s a film that has a unique narrative as its first half is about the murder and this lawyer in his bar exam. The second half is the trial where the lawyer deals with what will happen as it’s told in a unique style. Notably in the first half as it features some gorgeous photography by Slawomir Idziak that is rich with its sepia-drenched filters to play up the sense of dread and drama as it’s a truly mesmerizing segment. Starring Olaf Lubaszenko and Grazyna Szapolowska. Cinematography by Witold Adamek. The film revolves around a young man named Tomek (Olaf Lubaszenko) who has fallen in love with a 30-year old woman named Magda (Grazyna) who lives in the apartment building across from him. The segment revolves around this young man’s fascination with this woman as she eventually learns that she’s been spied on which only intrigues her. Particularly as her own love life isn’t going very well as the story has this unique dynamic between two people as it carries this sense of intimacy that is shot in a caressing visual style by Kieslowski and cinematographer Witold Adamek that also features a very evocative yet plaintive score by Zbigniew Preisner. Starring Anna Polony, Maja Barelkowska, and Katarzyna Piwowarczyk. Cinematography by Dariusz Kuc. The segment revolves a young woman named Majka (Maja Barelkowska) who steals her own daughter Ania (Katarzyna Piwowarczyk) in the hopes to escape from her controlling mother Ewa (Anna Polony) who had been pretending to be Ania’s mother for six years. It’s a segment that explores the complexity on the concept of theft as it raises a lot of questions what is right and what is wrong. Notably as Ania was the product of Majka’s relationship with a former teacher (Boguslaw Linda) when she was a teenager. It’s a segment that is heartbreaking that is filled with ravishing images from Kieslowski and cinematographer Dariusz Kuc that maintains a sense of loss and a young woman’s desire to claim what is really hers. Starring Teresa Marczewska and Maria Koscialowska. Cinematography by Andrezj Jaroszewicz. A Holocaust survivor named Elzbieta (Teresa Marczewska) arrives from New York to visit ethics professor Zofia (Maria Koscialowska) about the new translation of a book that Zofia wrote. During a class, Elzbieta asks Zofia about a story in which Elzbieta was a part of at age six during World War II forcing Zofia to privately reveal what happened on that day. It’s a simple yet understated drama where it is about telling truths and such where the same sequence in the classroom features a reference to the second part of the series. 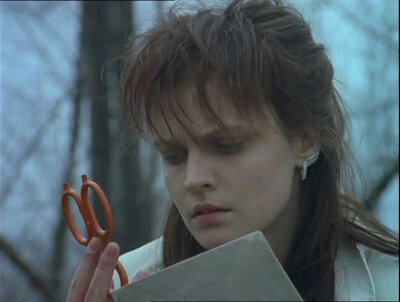 Kieslowski’s direction is very potent in its intimacy as it’s supported by Andrezj Jaroszewicz’s low-key yet hypnotic cinematography. Starring Ewa Blaszcyzk and Piotr Machalica. Cinematography by Piotr Sobocinski. The segment is the story of an impotent man (Piotr Machalica) who learns that his wife (Ewa Blaszcyzk) has another lover (Jan Jankowski) as he tries to confront her about it. It explores a man dealing with infidelity as well as his shortcomings as it plays into a couple’s marriage and the trouble that is happening. It is one of the most compelling segments in the film that includes references to future Kieslowski films as it is told with a lot of intimacy and striking compositions that is supported by the tender photography of Pitor Sobocinski. Starring Zbigniew Zamachowski and Jerzy Stuhr. Cinematography by Jacek Blawut. A punk-rock singer named Artur (Zbigniew Zamachowski) and his older brother Jerzy (Jerzy Stuhr) just learned about the death of their father as they learn about his very valuable stamp collection. Realizing that they have to pay their father’s debts and the chance to get a rare stamp, the brothers do something to get that stamp to complete a rare series only for something to go wrong. It’s a segment that plays into two brothers wanting to not only clear their father’s debts but also expand their fortune only to be involved in a series of misadventures as it’s a segment that’s a bit comical but mostly dramatic as it’s told with such charm by Kieslowski that includes Jacek Blawut’s low-key yet rapturous photography. The 10-part miniseries that Krzysztof Kieslowski created with co-writer Krzysztof Piesiewicz explores the world of humanity as it is all set in an apartment building where 10 different stories happen based on the Ten Commandments. While some of the stories are mentioned in other parts of the segments as does a few characters every now and then including a mysterious figure (Artur Bacis) who observes everything that is happening as he pops up in small moments of each story. Many of these stories play into the conflicts the characters face in not just themselves but also in some of the revelations or things that happen to them. Two of which in episodes V and VI delve more into the respective subjects as they would later be expanded into two feature films in the respective films A Short Film About Killing and A Short Film About Love. Kieslowski’s direction is very entrancing in the way he presents the many situations that occur in the miniseries where he does take some different approaches to telling the story. In some aspects, it is straightforward and intimate while he would also put in a few moments of styles in tracking shots and such to convey the drama. There’s also bits of humors as well as motifs that Kieslowski would often put in many of the segments such as milk to help be part of the story. With the help of the different cinematographers that Kieslowski uses, he is able to get the chance for each episode to stand out not just visually but also in maintaining a different mood for each episode. 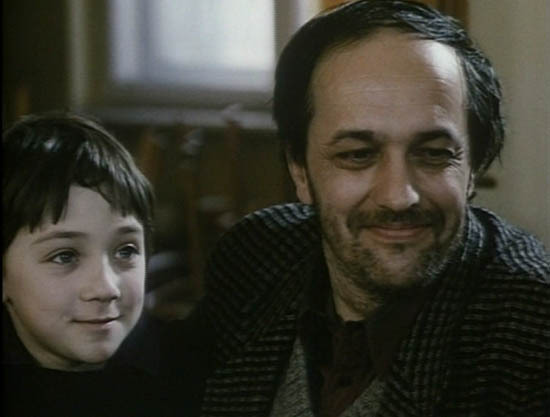 Overall, Kieslowski creates a very grand yet majestic miniseries about humanity in its faults and good qualities. Editor Ewa Small does fantastic work with the editing of the series as it includes some rhythmic cuts for some of the livelier moments as well as slow yet methodical cuts for its dramatic impact. Production designer Halina Dobrowolska does amazing work with the look of the apartments many of the characters live in and encounter at including the home of Wojtek was living at. Costume designers Hanna Cwiklo and Malgorzata Obloza do terrific work with the costumes as it‘s mostly casual where it plays to the different looks of each segment. The sound work of Nikodem Wolk-Laniewski and Malgorzata Jaworska do superb work with the sound to play up the atmosphere of the locations and such in the different segments in the miniseries. The big technical highlight is the music of Zbigniew Preisner as it includes some lush orchestral pieces as well as some grand operatic cuts to play out the drama. The casting is brilliant as it features a slew of amazing performances from its massive ensemble. From the first segment, the performances of Henryk Baranowski, Wojciech Klata, and Maja Komorowska are great as is the performances of Krystyna Janda, Aleksandr Bardini, and Olgired Lukaszewicz in the second segment. In the third segment, Daniel Olbrychski, Maria Pakulnis, and Joanna Szczepowska are excellent while Adrianna Biedrzynska, Janusz Gajos, and Adam Hanuszkiewicz are superb in the fourth segment. The performances in the fifth and sixth segments by Miroslaw Baka, Jan Tesarz, and Krzyzstof Globisz in episode V and Olaf Lubaszenko and Grazyna Szapolowska in episode VI are easily the best in terms of the drama that is conveyed in those segments. From episode VII, Anna Polony, Maja Barelkowska, Boguslaw Linda and Katarzyna Piwowarczyk are amazing in the dramatic performances they give while Teresa Marczewska and Maria Koscialowska are fantastic for conveying the sense of guilt that occurs in the eighth segment. Ewa Blaszcyzk and Piotr Machalica are terrific in playing a couple dealing with their own marriage in the ninth segment while Zbigniew Zamachowski and Jerzy Stuhr are remarkable as two brothers dealing with a possible fortune in the tenth and final episode. 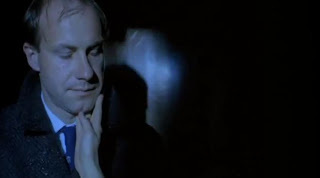 The Decalogue is a magnificent miniseries from Krzysztof Kieslowski. Armed with an amazing ensemble cast and a fascinating concept based on the Ten Commandments. It is truly one of the most daunting yet exhilarating achievements captured on film and television as it plays to the complexities of human life set in Poland. 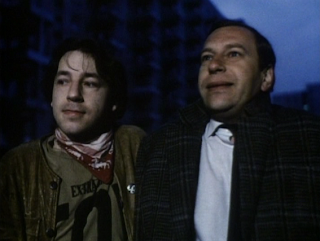 In the end, The Decalogue is an incredible TV miniseries from Krzysztof Kieslowski. Glad you liked it! Probably my favorite mini-series of all-time. 5 and 6 are visually very cinematic, so not surprising were turned into feature length films. Like you say, it does a good job of creating a mood for each episode. I think people have different favorites from the series,depending on what they bring to it from their own life. I wrote about each episode in my "Film reviews" section, if you want to read in detail what I thought. GREAT post. 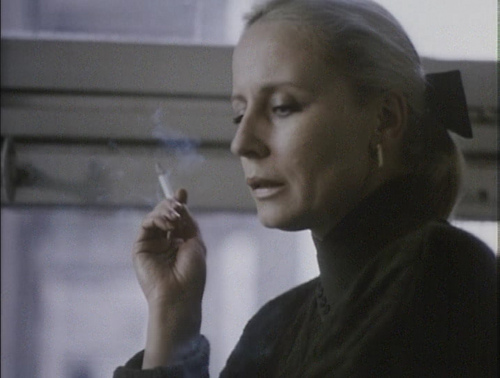 I just love The Decalogue, truly one of the finest feats in cinema history. It's so hard to pick a favorite, better for me to just accept them all as a great, organic series. Loved your analysis of each segment. @Chris-I had a great time watching it spend a day watching one or two episodes and also just try to divulge everything that is happening. It's definitely something every film buff should see. @Alex Withrow-I do have some favorites while as a whole, it's a tremendous feat that I don't think any filmmaker could replicate. I watched this in early July as my last entry to complete the 1,001 Movies You Must See Before You Die. I felt some episodes were very good, while others were just okay. My favorite episode was Thou Shalt Not Steal, followed by Honor Your Father and Mother, Do Not Bear False Witness Against Thy Neighbor, and Thou Shalt Not Commit Adultery. @Chip Lary-I really enjoy it as a whole as I hope to see A Short Film About Killing and A Short Film About Love very soon. I really need to get the most recent volume of 1001 Films You Need to See Before You Die. It would help get a chance to pick out what films to see and make it a challenge. @Steve - The 2013 edition of that book is coming out October 1. It will feature 50 new films in it, according to Amazon. One caution - most of the descriptions in the book contain spoilers for the films. It contains all 1,103 films that have been in all editions since the first in 2003. @Chip Lary-Thank you. I'll add that to my Xmas list. I'd rather have the book as I've looked at other editions and they're just fun to read.